With so many venues and places to choose from, it's difficult to make a decision. So I'm here to help you choose a banquet hall that will delight your guests and not "break your budget." 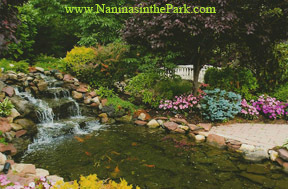 The opulence of Nanina's is felt the moment you drive unto their grounds. The venue looks more like a mansion than a catering hall. Notice the magnificent winding marble staircases, the "Juliet" balcony and cathedral ceilings. This Tuscan villa replica is spacious and includes an antiqued ball room and an early 20th century library trimmed in mahogany, featuring a vintage neoclassic fireplace. 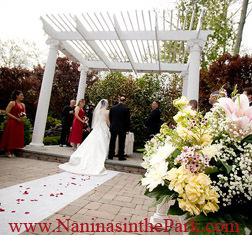 Whether you are hosting a daytime or evening celebration, Nanina's has lavishly manicured gardens and grounds that offer the perfect scenery for your outdoor pictures and ceremony. 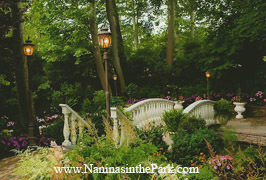 Nanina's famous Tuscan-villa architecture and cherry blossom gardens create an awesome setting for your romantic, fairytale wedding. 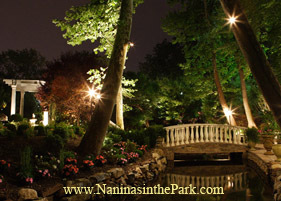 Nanina's in the Park is located on the edge of New Jersey's Branch Brook Park which is noted for its exquisite flowering cherry blossom trees that bloom every spring. Can you just picture having your cocktail hour outside amid these beautifully sculptured flowering bushes and fish pond? Your guests can amble around the grounds while listening to the water flowing over the slight water fall. A family owned and operated catering facility. 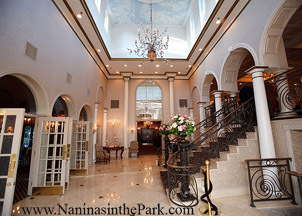 To be pampered and catered to because Nanina's only hosts one wedding at a time. Your guests will be greeted with your signature drink and Kir Royals, Champagne with strawberries and Mimosas upon arrival. A grand ball room that can seat up to 400 guests and 1,500 non seated guests. A dedicated staff that will be patient and consciously listen to your ideas and concerns. Wait staff that is attentive to you and all your guest's desires and special dietary needs. An extensive menu that will impress even the most discerning guest. Unsurpassed presentation of incredible dishes. A venue with impeccable grounds and a venue décor that will exceed your expectations. 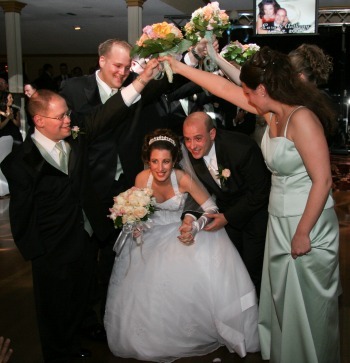 So you would like to have your ceremony and reception in the same venue. No problem! 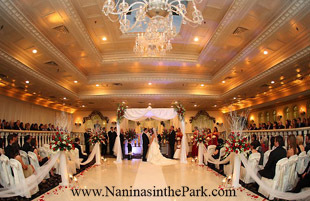 Nanina's can accommodate any type of ceremony and bridal bash that will cater to your every need. The Grand Ballroom is adorned with Austrian crystal chandeliers and a starlit patio creating a once in a lifetime celebration. 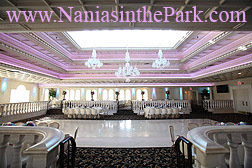 My page on wedding reception places is proud to present "Nanina's in the Park" and I do hope you will check out their web site at www.naninasinthepark.com or give them a call at 973-751-1230 and be prepared to have all your dreams come true at this spectacular wedding venue. I've got some good ideas! Come follow me.